In this past week’s 5 Recruitment Marketing Articles of the Week, I highlighted a podcast with Valve Software’s Gabe Newell where he spoke about their unique workplace and employment culture. 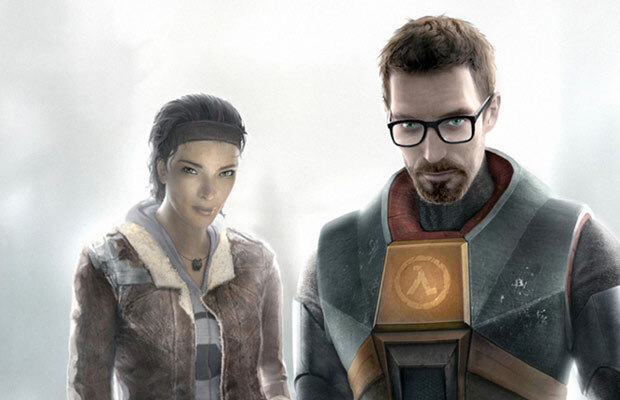 First, I just want to say I’m a huge Valve fan and they make some of my favorite (and arguably greatest) video games in the world including the Half Life and Portal series. So I have a great respect for what they do. However, just as interesting, and probably moreso for non-video game enthusiasts is how they go about what they do. Read their Valve Employee Handbook and you can tell that they approach corporate culture a little bit differently. Their company hierarchy is entirely flat with everyone having access to everyone else and full control over what they do. They celebrate hiring the right people that can thrive in their open culture and strive to find smart individuals are intellectual curious and can add value to their team. Most importantly, they understand the value that they provide to the right individuals, who just happen to be the candidates that they want to hire. So what can we learn from Valve that we can carry forward in our own branding and recruitment marketing strategies? Remember the day of the Renaissance man, where you could be good at everything but a master of none. Well that’s not true any more. As the flow of information has improved and skills have become more specialized, it’s as important as ever to identify the certain skills and attributes that differentiate you from everyone else. This is especially true in how you market and brand your organization to potential employees. Let me first address that not many organizations can or should do what Valve can with their company culture and structure. It works for them but probably would be a disaster in most industries and at a greater scale. What organizations need to take away from them, however, is to figure out what they provide that is unique in the marketplace. When figuring this out, it’s important to talk to your employees. Ask current employees and just as important new hires on why they decided to work for your company over other potential employers. This can give you the basis to what actually influences candidates to choose your organization and can help you begin to create messaging and content around these core ideas and benefits. The “Day in the Life” videos that you have on your YouTube channel and embedded in your Career pages. The dedicated micro-sites you create for different candidate populations. The email newsletters you send out to candidates in your Talent Network. The social recruiting channels that are manned by your recruiting team. The communications you send to candidates throughout the entire apply and interview process. All this content can help you ultimately make candidates aware of why it’s great to work at your company and should be used to continuously sell candidates. The key is making sure your entire team and organization understands the overall messaging and ideas crafted so all your team and employees are on the same page as candidates interact with the people and content of your organization. And most importantly, measure the results. With the right recruitment metrics, you can better track and test messaging and concepts and figure out if they work. It will be an iterative process but in the end you should be able to provide messaging that better attracts the candidates you are trying to hire. With all new social channels and better technology to brand our organizations, we have a tremendous opportunity to add a voice to our jobs and careers. Embrace this opportunity and figure out what can make your company stand out from the crowd of opportunities available to job seekers. Figure out what that is and make sure to highlight it in all the places you interact with candidates.